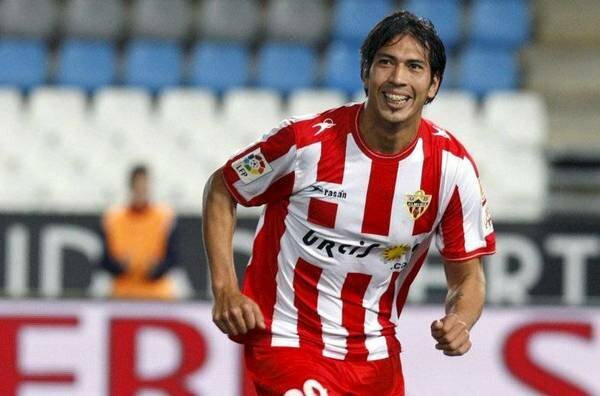 The name Leonardo Ulloa might not mean much many football fans outside Spain but to followers of Almeria he is their fast ticket to getting out of the Segunda. With 28 goals last season, the Argentine has established himself as a firm favourite amongst fans of the Andaluz club and is very much a man whom they are relying on to fire them back into the Primera Division. 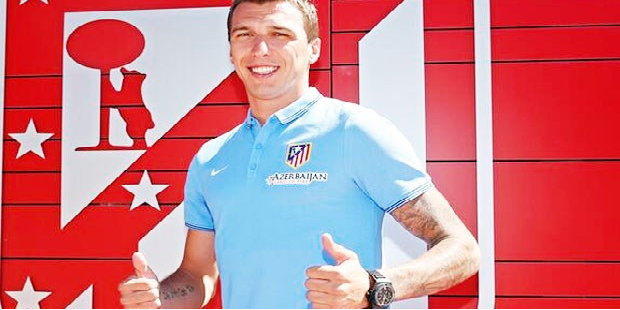 Signed from Castellon for a bargain €800,000 in 2010, the strong 26-year-old has ominously already opened his goal tally this season, finding the net in Almeria’s dramatic 5-4 away win at Barcelona B in the opening week of the season. However, for a club that has become almost over reliant on one man, there was always the fear that the vultures of La Liga would come calling this summer and it will have come as little surprise to Almeria officials that they have had plenty of unwanted interest in trying to lure Ulloa away from the south coast. Reports suggest that Mallorca are the latest club to have shown interest, and despite seemingly closing in on Nikola Zigic, there is the possibility that they will try and force a move through before tonight’s transfer window slams shut. And if that is the case, then it will surely have to be a substantial bid to tempt Almeria to sell. Having sold a lot of their big earners, the club are in the luxurious position of not having to sell just to appease the banks. Over the past three years the club has seen a number of its stars depart, with the likes of Alvaro Negredo, Pablo Piatti and Diego Alves all move on to bigger clubs, however, this time they appear determined to resist any advances. Crucially, the player appears to have settled at the club and is revelling in the adulation he is currently receiving from the Almeria faithful. A Brazilian by the name of Charles may have grabbed all the headlines in recent weeks thanks to netting three times in two games, but Ulloa’s importance cannot and is not underestimated. Crucially this isn’t a player who has found his level in the Segunda Division; in fact he has previous played in La Liga. In his first season with Almeria he netted seven times in a poor side that was ultimately relegated. Having watched Leonardo Ulloa for the past three seasons, there should be little doubt that with the correct supply he could comfortably get into double figures this term. Having started the season with two wins out of two, Almeria must be desperately praying that it is with them that he achieves this. It might not be the most glamorous of transfer stories, but this is one that could help determine the prospects of both Almeria and Mallorca this season. If Almeria can keep hold of him, expect them to challenge for promotion. If Mallorca can prize him away then he could just be the man to fire them into the reckoning for European places.